The Amazon Basin contains the largest and most diverse tropical rainforest in the world. Besides the Andes and the Atlantic Ocean, the rainforest is bounded to the north by the Guiana crystalline shield and to the south by the Brazilian crystalline shield, marked at their edges by cataracts in the rivers and often dominated by grasslands. This book is motivated not just by the Amazon's scientific interest but also by its role in many ecosystem functions critical to life on Earth. These ecosystems are characterized both by their complexity and their interactive, higher-order linkages among both abiotic and biotic components. Within Amazonia, the Western Amazon (west of 65 latitude) is the most pristine and, perhaps, the most complex within the Amazon Basin. This Western Amazon may be broadly divided into non-flooded forests (e.g. terra firme, white sand, palm) and forests flooded with white water (generally referred to as varzea) and with black water (generally referred to as igapo). Here, for the first time, is a book devoted entirely to Western Amazonia, containing chapters by scientists at the forefront of their own areas of expertise. 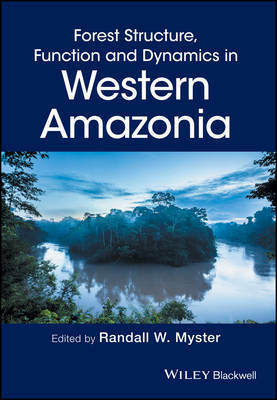 It should be a valuable resource for all future researchers and scholars who venture into Western Amazonia, as it continues to be one of the most beautiful, mysterious, remote and important ecosystems on Earth.